The music video of 15&'s new song, 'SOMEBODY', was revealed. The full official music video 'SOMEBODY' was released on April 9th, and in the video, Park Ji Min casts as Park Jin Young and Yang Hyun Seok, and Baek Ye Rin casts as BoA of 'K-POP Star', and they look for the 'somebody' they want. The two girls showed amazing acting as the three examiners of 'K-POP Star', and many fans are showing explosive reactions for their great work. In addition, Yoon Hyun Sang, Lee Seung Hoon, and Park Je Hyung, who participated in 'K-POP Star Season 1' made special appearances, making the music video look much more realistic. 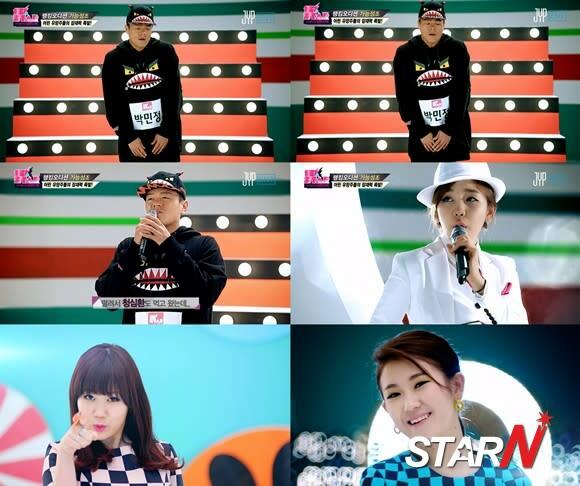 JYP Entertainment said, "Many music fans are showing great reactions for 'K-POP Star Season 2'. Please show a lot of support for their future promotion." On the other hand, 15& will be having their comeback performance on April 11th, and 15& teaser video can be viewed on their official website, official YouTube channel, and official YouTube channel of JYP Nation.